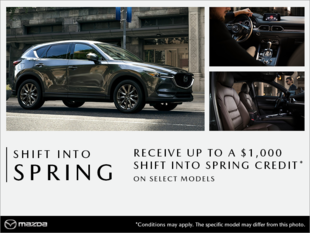 Spinelli Mazda in Montreal | From start to finish my car-buying experience with Spinelli Mazda was nothing short of fantastic. Home > Customer Reviews > From start to finish my car-buying experience with Spinelli Mazda was nothing short of fantastic. I had spent a fair bit of time researching for a good used car and was pleased to find exactly what I wanted at Spinelli Mazda. After speaking with a customer service rep (Alessandro) my sales consultant Alex set up the deal and came through with a fair price and a straightforward transaction. Yves in the finance department was fully prepared with all of the paperwork and there was no pressure. All in all a great dealership!